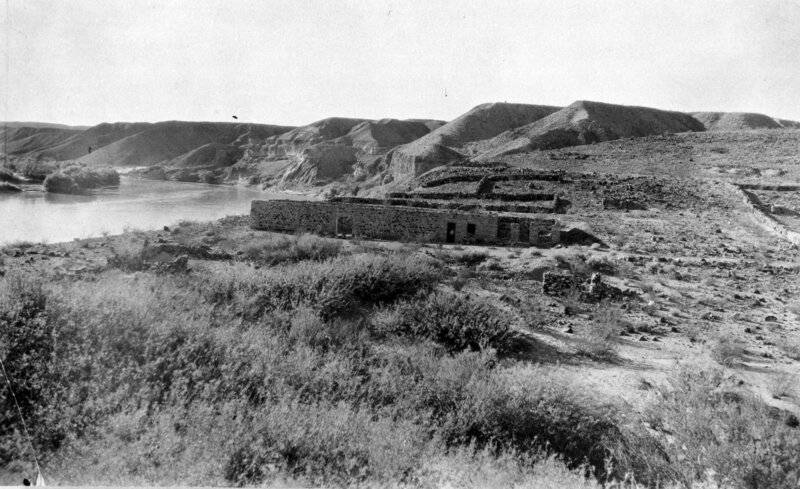 Description Call's Landing or Callville looking toward the west as it appeared in 1926; located on the Muddy river, extreme southeast part of the State of Nevada, where the Mormons built a port of navigation, from whence they were to freight goods to Salt Lake City. Now under the waters of lake Mead. Photo courtesy of R. F. Perkins and Lost City Museum, Overton, Nevada. Used in Utah Historical Quarterly, Spring, 1967. Source Donors Perkins, R. F.